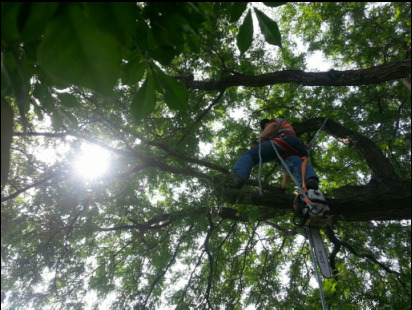 Superior Ground Services tree care professionals understand the importance of proper tree care. Trees can enhance any residential or commercial landscape, however trees and stumps that are old, dead, over-grown or disease filled can not only detract from natural beauty but can also cause a safety hazard to any property. Keeping safety always in mind, Superior can be your solution when you need a light/ heavy trim, pruning or possibly a complete removal of a tree or stump from our property.